As I gazed out my living room window on a sunny Sunday morning, a huge bird flew straight towards me. As he got closer to the window, he quickly veered off to the right and landed on my neighbor's roof. Curious, I jumped up and quickly ran outside to see what kind of bird it was. At first, I thought it might be a Blue Heron or even a Turkey Vulture, given its enormous body and broad wing-span. 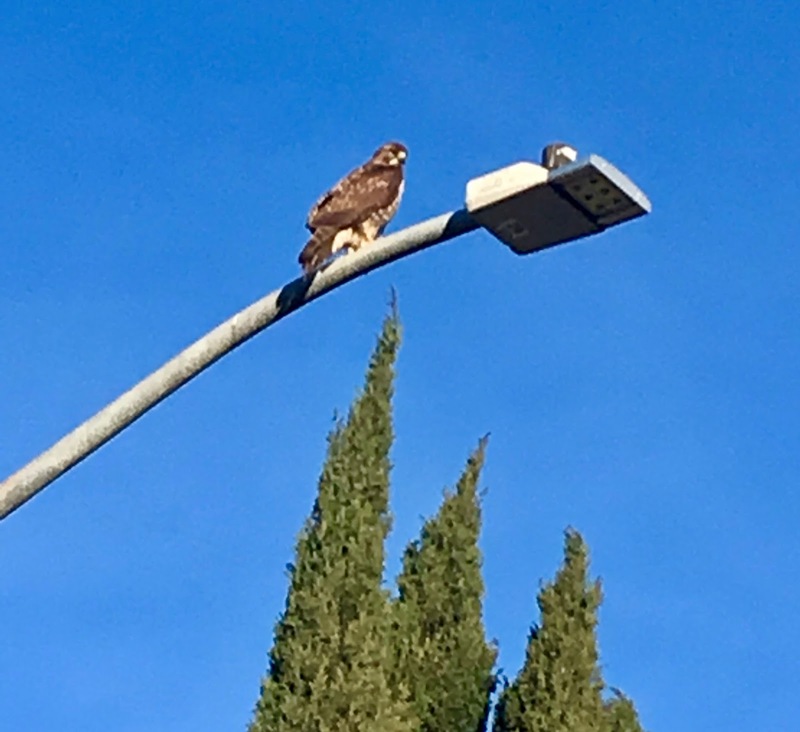 To my surprise and delight, it was my Power Animal, the Red-Tailed Hawk who lives in the open space adjacent to my home. When a Power Animal gets my attention, it means they want to share a message of wisdom. 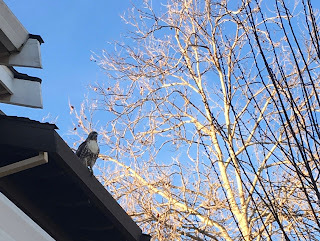 I first met this particular Hawk several months ago while walking in the open space with my dog, Bodhi along with our good friends Jan and her dog, MacGuyver. As Jan and I chatted and the dogs sniffed about, I spotted a large raptor on the ground no more than four feet away from us happily eating his prey. Jan and I immediately stopped. We became silent as we watched this magnificent raptor tore apart and ate his supper unfazed by our presence. Interestingly, the two dogs were oblivious a Hawk was only a few feet away from them because they were all-consumed with smelling the smorgasbord of earthly delights around them. And before we knew it, the Hawk soared off with the remainder of his food in his talons to a nearby Oak Tree. It was a magical encounter. 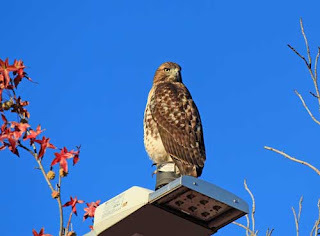 From the moment we met, I intuitively knew this particular Hawk was one of my Power Animals. A Power Animal is a Spirit Guides in the form of an animal, reptile, or insect. Spirit Guides aid humans by sharing their valuable wisdom and insight. Indigenous cultures, like Native Americans, embrace Power Animals as an integral part of their culture. According to Native American lore, the Hawk is known as "The Messenger." Therefore, when you spot a Hawk or hear its cries, it means to pay attention because an important message is about to be conveyed. In other words, be aware of the "signs" that are offered. Greetings, Cathy. Thank you for taking my call by noticing my presence. Keep sharing the wisdom of the animals with all those who are willing to hear our cries. Animals' "Voices" need to be heard and honored. It's easy to forget that we are interconnected and interrelated to all species who share Mother Earth together. Be gentle and kind with yourself and others as you share our messages. After conveying his message, the Hawk flew to the top of the lamp post across the street from my house, where we spent a few more moments sharing our hearts together as One. As the Hawk flew off towards the Open Space, I thanked him for sharing his wisdom and promised to share his musings. I heard the Hawk replied, "Until we meet again, keep soaring." Do You Talk to Your Pets?